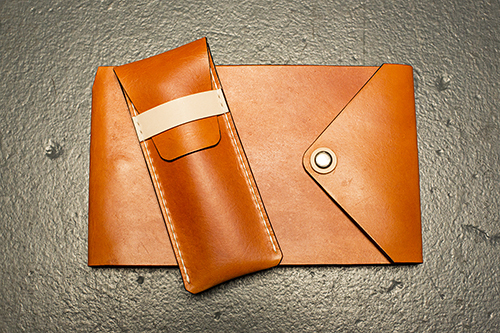 From instructor Paul Chan: "Learn the basics of leather working as I walk you through the process of hand crafting a leather journal and pen sleeve. No prior experience is required. 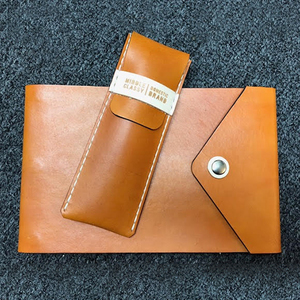 You’ll start off by staining and sealing the vegetable tanned leather (the good stuff), then move onto punching holes and saddle stitching, and finally burnishing and finishing all the edges. 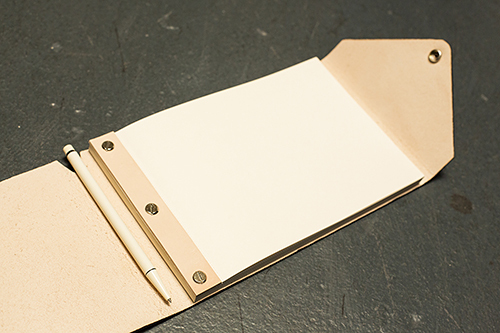 After a few hours you’ll walk away with a one of a kind refillable sketchpad / journal and a pen sleeve that will last for years to come. Don’t miss this opportunity to make something truly unique. Add a bit of rugged luxury to your life. Spoil yourself or gift it to someone special. *Sign up today, seats are limited!